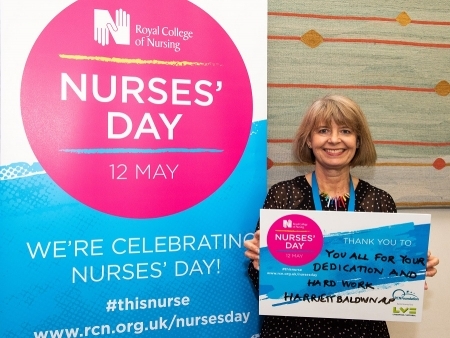 West Worcestershire MP Harriett Baldwin joined MPs at an event in Westminster to celebrate the work of nurses up and down the country. The gathering was part of events to mark ‘Nurses’ Day’ which is held annually on May 12 – the birthday of Florence Nightingale. And Harriett attended the event, held at the Houses of Parliament, to show her support for nurses working across the NHS in Worcestershire. Harriett commented: “We all value our NHS and the hard work carried out by staff who do an amazing job looking after us and our loved ones. “Because of our balanced approach to the economy the Government has been able to confirm NHS staff including nurses a pay rise of between 6.5 per cent and 29 percent. Janet Davies, chief executive of the Royal College of Nursing, who hosted the event, added: “Nursing is a dynamic profession with caring for people at its heart. Nurses’ Day is a wonderful opportunity to celebrate the incredible work nursing staff do every single day of the year. Photo: Harriett Baldwin MP makes her own dedication to Worcestershire nurses at the Nurses Day celebration in Westminster.